Fathers House by C. Edward Baldwin introduces us to Assistant District Attorney Ben Lovison who never knew his father and saw his mother die in an act of senseless violence. Ben’s life has risen above the bad circumstances as a child and he now has a good job and a loving family. But he is brought back into it all when investigates a teenager’s death. It is while working on this case that he has to revisit Fathers House, a place that was his salvation as a teenager but he finds lies that bring him to the man that ran Fathers House. Urban suspense is a newer genre for me but I can say without a doubt this is the best one in the genre I have read so far. The book gripped me from Ben’s back story through to the end. I was unable to figure out some of the twists and turns as I read which I enjoyed. A suspense book to me is never very suspenseful when you can see the twists coming and figure it out right away. C. Edward Baldwin has created a great read here that is well structured and entertaining. Ben is not a character who is perfect; he has a difficult past and things in it which he must overcome. That makes him very relatable because we all have those things in our lives. Fathers is not what I would call a typical villain in the story either and that makes him more interesting. 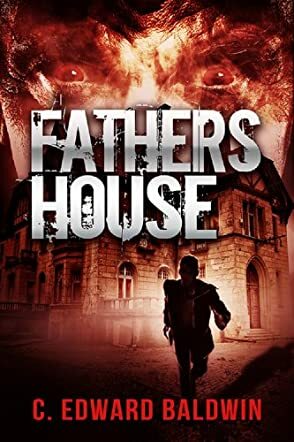 If you like a good suspense story that will keep you entertained, I would recommend Fathers House. Fathers House by C. Edward Baldwin is the story of Ben Lovinson who goes through a bad phase after his mother's murder. Her murder sees him spending five of his teenage years partly in a boy's club run by the Mayo fathers and partly in an orphanage. He grows up and is an attorney now in North Carolina and has a beautiful wife and is going to be the father of twins very soon. But the near-perfect life he leads is now going to change again. He will have to go back to his roots, investigate his mother's death, the Mayo fathers, and the powerful and evil forces that are operating underground to create problems in that town. The story is full of suspense and intrigue. The twists and turns, sub-plots, and the characters make it an interesting and compelling read. The plot and the characters are developed very well and the mystery and suspense keeps the book alive. The pace of the book will make readers want to finish it in one go. Detective Ben Lovinson is a likable hero and the book also speaks about how he slowly grows up and moves from troubled young years to a happy married life. The genuine intentions of the Mayo fathers is questioned here while Ben is investigating, and the bad motives of the villain are camouflaged well initially in the story. Ben's personal life and professional life have been blended well by the author. Will Ben be able to crack the mystery that surrounds the deaths in that town? In Fathers House, Assistant D.A. Ben Lovison never knew his father and he watched his mother die from violence. He had risen beyond life’s adversity and now has a good job and a loving family. Yet, while investigating the death of a young teenager and a corruption scandal, the case leads him back to one place from his childhood past, Fathers House. After the death of his mother, Fathers House was his salvation during his difficult teen years. As he got deeper into the case, Ben is about to discover the lies that will leave him no choice but to revisit his mother’s death and the man who runs the house, Mayo Fathers. This suspenseful urban tale is written by C. Edward Baldwin. My main appreciation of Baldwin’s writing is for his excellent job in developing a villain that is not wholly abominable, yet malicious enough to maintain the reader’s attention – Mayo Fathers is not a character that falls into the black and white of good and bad, something that is hard to find in any novels of any genre these days. As for protagonist Ben Lovison, connecting with this character is easy. His anxiety on revisiting his dark past resonates through the story and readers would care from start to finish. This is the kind of book that would be perfect for a book club, as it would generate much discussion for the moral lessons behind it. On the whole, Fathers House is an interesting read that creatively blends mystery, suspense, and manipulation.